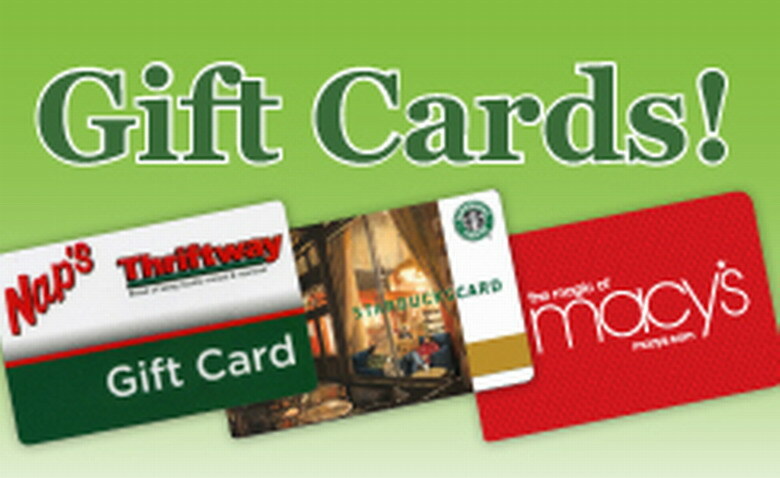 Buy Gift Cards at Nap's Thriftway! Use your gift cards on every day purchases or for special occassions. See our large selection in store to purchase a gift card. Great back to school gift for that special student.